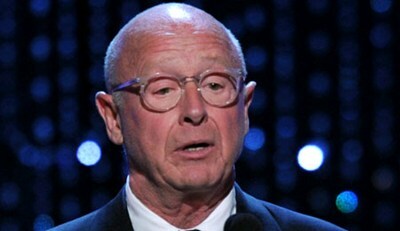 Hollywood director Tony Scott, famous for films including Top Gun, has died after jumping from a bridge in Los Angeles, the authorities have said. The Los Angeles County Coroner's office said Scott's death was being investigated as a suicide. British-born Scott, brother of Alien director Ridley, shot to fame in the 1980s with a string of action films. The 68-year-old's blockbuster hits included Crimson Tide, Days of Thunder and Beverly Hills Cop II. The coroner said Scott jumped from the Vincent Thomas Bridge, which spans San Pedro and Terminal Island in Los Angeles. Lt Joe Bale, from the coroner's office, said the director was seen parking his car and jumping into the water at about 12:30 (19:30 GMT) on Sunday. "We will go where the facts take us. We have no reason to believe it was not a suicide," Lt Bale told the BBC. Scott was famous for his fast-paced blockbusters, and carved out a distinctive style to his films using fast editing and digital effects. He made a number of films with actor Denzel Washington, including Man on Fire and most recently Unstoppable. At the time of his death, he was rumoured to be working with Tom Cruise on a sequel to Top Gun.